Any Junior Curlers looking for equipment prior to the Provincial, Folks Curling Corner will be open Boxing Day from 11-5pm! The winners in each of the three Q-Spiels qualify for a 12-team round robin, pool system provincial format. Each team must register its four players and coach prior to the commencement of play at the Qualification Bonspiel. A team consists of four players and a coach who is at least 21 years of age. Only one coach per team will receive coach’s recognition as per CURLSASK policy. The coach is directly responsible for the conduct of his/her team, on and off the ice. Teams may enter any Qualification Bonspiel in the province, but once a team qualifies at a Junior Qualification Bonspiel, the team is ineligible to enter any further Qualification Bonspiels. 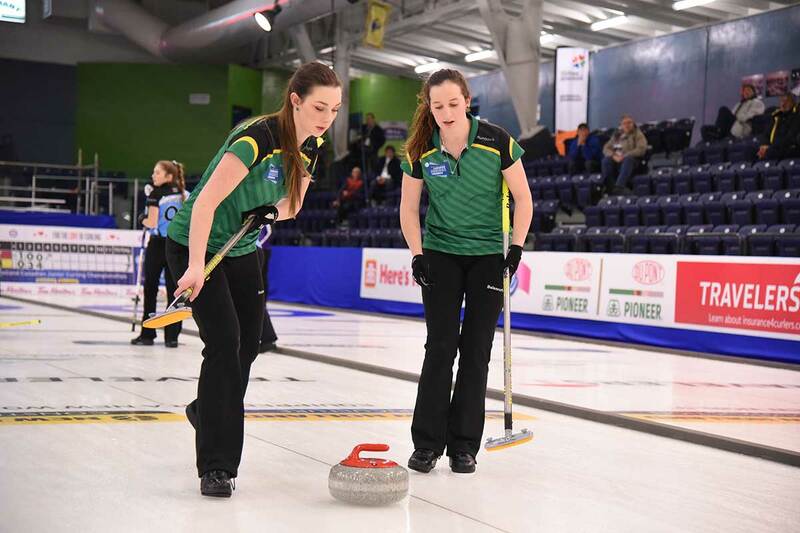 It is mandatory that all teams at Q-Spiels, and Provincials have a coach that is Competition Coach Trained or old NCCP Level 1 Certified, in the sport of curling, and the coach must be 21 years of age or older. All coaches must complete the Respect in Sport on-line training program prior to being granted coaching status. A Competition Coach Certified or Old NCCP Level 2 Certified Coach, in the sport of curling, is required for National Junior Championships. A Competition Coach Certified or Old NCCP Level 2 Certified Coach, in the sport of curling, MUST be named before Provincial Playdowns. Commencing at a Q-Spiel each team entering the competition, will pay the CURLSASK Registration Fee of $240.00 (GST included) per team plus a Curling Canada Participant Fee of $45.00 per player. The team will also pay a separate Entry Fee for each Bonspiel, which is over and above the one-time playdown registration fee. The Entry Fee for each Bonspiel will be $80.00 (GST included). For Qualification Bonspiels, a substitute may come from anywhere in the province but may not be a registered member of a team in the Junior Men’s competition. For Provincials, a substitute may come from anywhere in the province, not be a registered member of a team competition in the provincial event but could be from a registered team who has been eliminated from the Junior Men’s competition. The Provincial Championship will be a 12 team event with the teams qualifying through three (3) Qualification Bonspiels in the Province. Four teams from each bonspiel will qualify for the Provincial Championship. Teams winning a Qualifying Bonspiel berth CANNOT enter another Qualifying Spiel. At the Provincial, a round robin/pool format will be used. Teams will be divided into two (2) self seeded pools of six (6) teams. A total of six (6) teams will advance to the playoffs. As per CURLSASK Code of Conduct, competitors/coaches attending playdowns for the Junior competitions shall not be allowed to consume alcoholic beverages and/or recreational drugs at any time during any level of play. The curling club licensed area shall be off limits to all competitors/coaches. Below provides information specific to each competition host site such as hotel and ticket information. Please click on the host site below that you would like information for. This information can also be found in the Competitor Guide under the Documents Tab. A user-friendly URL is ready for booking guestrooms within the block dates by simply clicking on the Booking Link (URL) below and it will take you directly to the special group rate provided to the group at each hotel. Luncheon tickets are provided for curlers. Extra tickets are available at registration for family and friends. Admittance for curlers, members of CURLSASK and media will be provided at registration.